CSUN principal investigators listen attentively to the remarks made during the event. Photo by David J. Hawkins. CSUN faculty and staff enjoy refreshments at the sixth annual Principal Investigator Recognition event. Photo by David J. Hawkins. 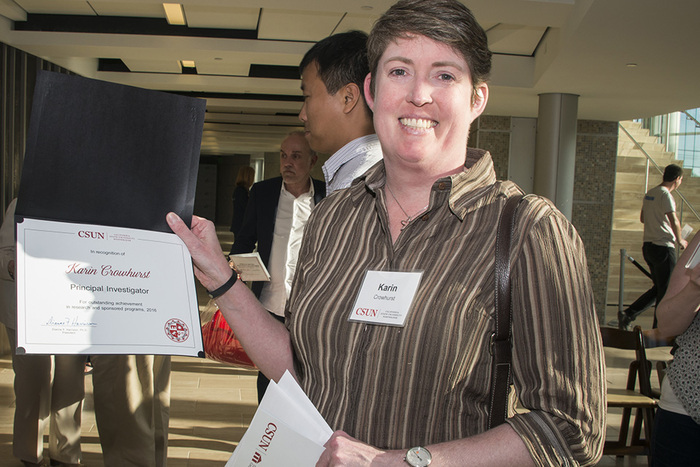 Karin Crowhurst, associate professor in the Department of Chemistry and Biochemistry, proudly displays her recognition certificate. Photo by David J. Hawkins. 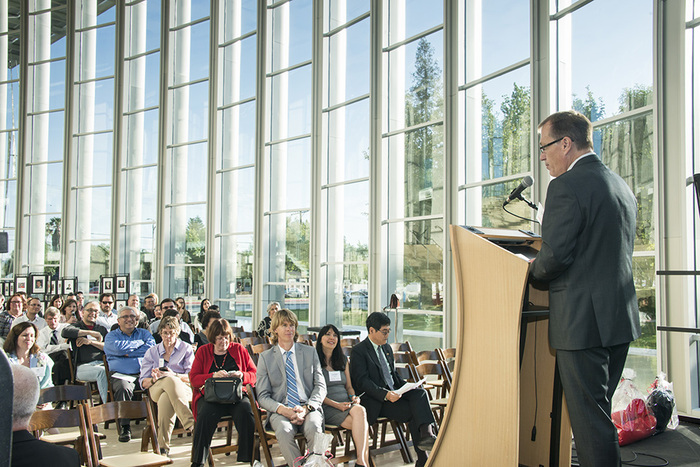 The California State University, Northridge community expressed gratitude for researchers and scholars at the 2017 Principal Investigators Recognition Event on May 11 at the Valley Performing Arts Center. The recognition event served as a thank you to more than 190 CSUN faculty and staff members who are conducting research as principal investigators in fields ranging from biology to psychology, and from management to child development. The principal investigators being recognized were CSUN faculty and staff members who bring external funding to their research and provide students with opportunities to do work outside the classroom. 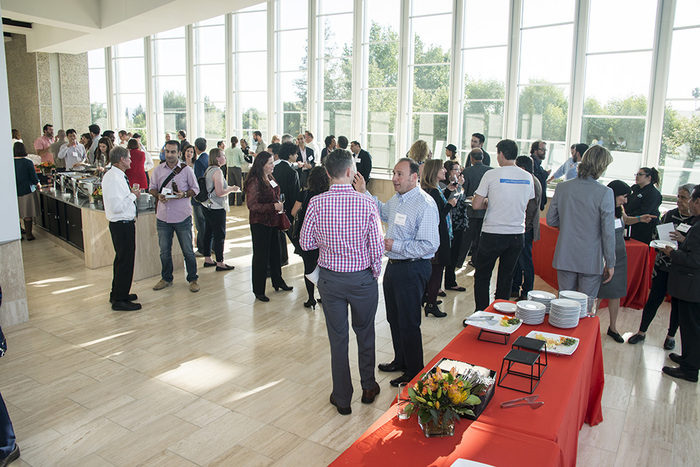 The event kicked off with a reception where principal investigators enjoyed refreshments and had a chance to speak with one another. CSUN Provost Yi Li delivered a welcoming address in which he thanked them on behalf of himself and CSUN President Dianne F. Harrison for their hard work and dedication.